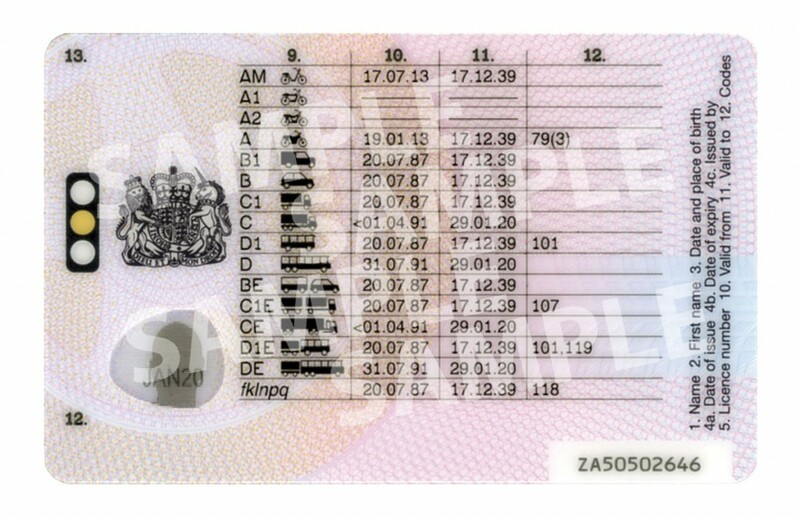 Come 8 June this year, we will say goodbye to the paper counterpart that currently accompanies all UK photocard driving licences. The government announced it is abolishing them as part of its Red Tape Challenge initiative on 22 December 2014. It will mean that from this summer onwards all paper counterparts will no longer have any legal status and will not be distributed anymore. The DVLA has instructed licence holders to destroy the paper counterpart (but keep the photocard intact). Paper driving licences issued before the photocard was introduced in 1998 will remain valid and should not be destroyed. The only legal source for confirmation of penalty points and endorsements after that date will be the driver record held by the DVLA, which will be accessible by phone, post or online. One of the things this will mean for operators is licence checking will have to change. With looking at the paper copy no more an option, a new online system has been set up by the DVLA. The cost and availability of this is currently under review. However, this DVLA system has already met with some concern in the industry. ‘The new driver licence checking system to be introduced by the DVLA this summer will not meet businesses’ needs,’ is the warning from the Freight Transport Association (FTA). The online system replacing the paper license checking system will make driver licence checking ‘extremely difficult’ for operators, according to the organisation. FTA believes it needs to be reconsidered as a matter of urgency. It has previously voiced its concerns over the system, and reminded the DVLA Chief Executive that as a fundamental part of their statutory undertakings, operators have to check their drivers’ licences several times a year. David Wells also outlined several issues that FTA has with the proposed system, stating that the driving licence counterpart represents the main tool for checking the entitlement of professional drivers. A recent FTA/ DVLA working group exercise found 94% of respondents relied on a physical checking of licences, either separately or as part of a process which involved either telephone or external checking. 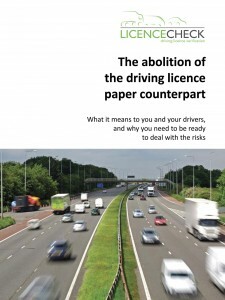 Nottingham based licence checking and monitoring company, LicenceCheck, has warned that in the confusion surrounding the upcoming abolition of the licence paper counterpart, fleet managers asking employees to give consent to allowing access to their driving licence records could inadvertently find themselves on the wrong side of the law. Under the recently enabled Section 56 of the Data Protection Act 1998, employers are prohibited from forcing workers to supply ‘Subject Access Reports’ containing information on criminal history and investigations conducted by the police and authorities. Such information, if required, must now be obtained through agencies set up for criminal record checks. The change in law is intended to prevent discrimination surrounding elements such as spent convictions that could be seen on a Subject Access Report. However, recent concerns raised by fleet operator organisation ACFO queried whether requiring employee drivers to sign a mandate allowing access to their driving licence record could amount to an offence under Section 56(1). The Information Commissioner’s Office (ICO) has clarified that this will not be an offence provided the DVLA’s recommended procedures are followed. As this change to licences draws near, LicenceCheck has launched its new generation of licence checking software, RealTime. This updated version of its offering is designed to allow fleets to check its drivers’ licences at the touch of a button. Making use of the DVLA’s new technology and services, it is aimed at delivering both time and administrative overhead savings to clients. The software will deliver results at the point of request. Previously, the only option was an overnight batch service, which delivered results the next working day. To make the process even more convenient, the RealTime software will offer company drivers the option of providing digital consent to check their licences, saving administration time for all parties, compared to the paper consent form process currently used. The move to RealTime licence checking is also designed to allow businesses to demonstrate robust risk management measures for insurers before a driver is allowed to drive. 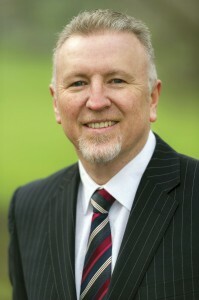 Richard also notes it can reduce the risk of damage to corporate reputation, as the status of a driver’s licence should be certain by using the service. Not only does it help keep on the right side of the law in terms of licence checking, it is also a benefit in terms of insurance. Richard said insurance providers look for evidence that an operation is profiling drivers in a way that helps reduce risks, which is what LicenceCheck can be used for. 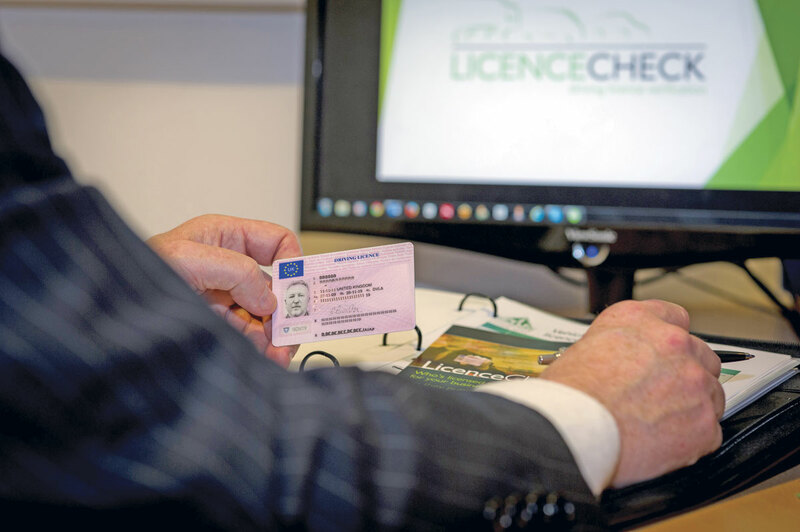 LicenceCheck is an online service that allows access to DVLA driver records via a secure government gateway connection under licence. Consent from drivers is achieved by them filling out a D796 form, which is generated online within the company’s Driving Licence Verification Service (DLVS) application or alternatively by using the digital consent process. Once signed, the consent lasts for three years. Once granted, licences can be re-checked automatically at preset regular intervals. Check frequencies can even be configured based on how at risk a driver is deemed. Spot checks can also be made and any regular checks can be cancelled or disabled at any time. Results of the checks are stored online and should be available instantly on request. The records are date stamped once they leave the DVSA, guaranteeing the information is completely accurate at that date and time. LicenceChecks’s system features automated warnings via e-mail in the case of what the company calls ‘immediate actions’, such as expired entitlements, revocations, disqualifications and vocational elements. Additional information, such as tachograph details, CPC and eyesight information can be stored alongside licence data if required. Users of LicenceCheck’s services pay per check, which for most will be less than or equal to the DVLA paper service. However, according to the company something else that sets it apart from checking for yourself via the DVLA is the fact its service is provided much quicker. Full training and support for the service is provided as standard too. CPT members can benefit from even better prices, as the company is offering a promotion for those affiliated with the trade body. The bus and coach market makes up a large part of the company’s business. Some well known operations are using its services, including EnsignBus and Skills Motor Coaches. RHA is another user. Richard and his company are trying to engage further with bus and coach customers and non-customers alike about the need to change the way they check licences in light of the abolition of the paper counterpart. He said it is leading to a real dilemma and believes the ‘vast majority have not decided’ what they are going to do about it yet. However, he has seen a rush of customers, with 2014 seeing a 40% increase in turnover with further accelerated growth planned for 2015. It recently appointed a new Commercial Director to help manage the growth in current services and new product lines. He attributes this to the fact DVLA has made this ‘line in the sand’ in June. LicenceCheck was incorporated in 2008 as a software development house and service provider. It initially focused on bespoke products for the motor industry, a sector Richard has over 40 years’ experience in. In late 2011, the company acquired a related business that specifically concentrated on delivering a Driving Licence Verification Services (DLVS) to organisations with a business need to check the driving licence status of those who drive on company business. During the past two years, it has completely redeveloped its client offering to a fully hosted online solution. The company achieved full certification for ISO 27001:2013 in December 2014. ISO 27001:2013 is a best practice framework for an Information Security Management System which enables organisations to identify the risks to their important information and implement appropriate controls to reduce these risks. The focus of the standard is on continually improving policies, processes and working practices.